Remember last year when I delved deep into the world of FOMO (Fear Of Missing Out) and other NY fears? That was only the tip of the iceberg! Unfortunately for us all, there is a LOT more to be afraid of in this city! Here are some more horrifying fears, let me know if I left anything out! Just kidding! I'll love you forever, Frankies 17! When I first found out they were turning my all time favorite restaurant, Frankies 17, into the Spanish tapas restaurant Francesca, I was devastated! STUNNED! It took me months to deal with the pain. I even tried to use humor as a coping mechanism, by announcing on April Fool's Day to my all facebook friends that they were "turning the West Village Frankies into a French restaurant called Francois, and the Brooklyn Frankies into a pierogi palace (yes! I actually said "pierogi palace"!) called Franciszek". Unfortunately that didn't help me move on from the loss of Frankies 17, and people were so upset, I almost lost some friends over it. Finally, acceptance turned into curiosity: Could Francesca be as amazing as Frankies 17? Was there any tapas dish in the world that could replace Frankies' gnocchi? Well I am happy to report that the answer is YES! Last night I went to Francesca with my friend Jessica (the person that first took me to Frankies 17 back in 2006!) and her husband Jeff....and let me tell you, it was AMAZING! Glorious actually! Pretty much everything is the same (same awesome waitstaff, almost the same decor except for high tables in the first room), except the food is something new and refreshing and scrumptious! -The Dry-aged Beef Tartare served with cauliflower cream: Served with perfectly toasted bread, this dish made us shake our heads in disbelief that anything could be so good. -Egg Salad with Boqueron: at this stage in my life, I'd like to think I can make a mean egg salad. But this one was even more flavorful! -White And Green Asparagus with migas (fried bread), aioli, sherry vinaigrette: so fresh and delicious! -Creamy Fideua With Idiazabal: kind of like a delicate mac and cheese. Yummy, but seemed to be lacking something. -Our dessert was a special, and involved warm chocolate on bread with salt. Need I say more? Take a look at the pics on Serious Eats. If this doesn't convince you to run to the restaurant now, I don't know what will! Don't tell anyone though! The more people that know about this, the longer it will take for me to get a table. favorite dishes: Dry-aged Beef Tartare with cauliflower cream, Dulce De Leche. On Thursday night, I went to the opening party for an adorable new store in Brooklyn, Milly & Earl and as soon as I saw this Metal Sugar necklace, I knew it had to be mine! For those not aware of my love for Ryan Gosling (how is this possible? Have you read this? 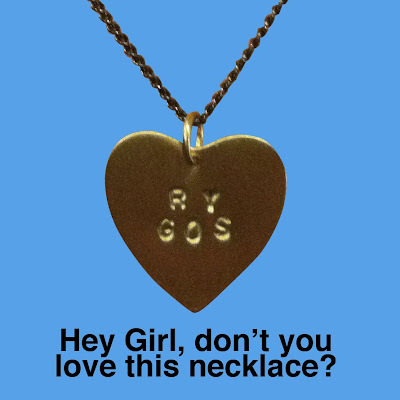 ), "Ry Gos" stands for my main squeeze, Ryan Gosling. And my excitement about this new purchase overpowers my fear of alienating potential suitors, or being put on a special watch list by Ryan Gosling's Security Staff. Seriously though, I'm not as crazy as I sound, I just thought the necklace was hilarious, and so cute! OOOOH! You mean the kind of rich where I still have to drive (or fly) myself to the grocery store, park my vehicle and buy my own groceries?????? GOODY GOODY GUMDROPS!! Winning the lottery sounds like everything I have ever dreamed of and so much more! I hope when I become extremely wealthy, I can still live in a tiny studio, take the subway, clean my own bathroom and try to only buy things on sale or with coupons. THAT WOULD BE AMAZING! I'm going to go buy some tickets now! One step closer to my dream life! Supergreat Greetings at the Craftacular: A Dream Come True! 1. People bought cards! And not just my friends and family (although they were quite generous as well, I LOVE YOU GUYS!!). Was amazing to see people's reaction to the cards (and have an excuse to talk about pork buns and ramen all day, which is what I love doing anyway)! 2. Robert Sietsema, a food critic for the Village Voice, posted pics of my cards and wrote the word "wonderful" to describe them. Is this real? Am I dreaming? 3. The vendors on both sides of me were so nice! Melissa of Metal Sugar (Such adorable jewelry! We even did a trade: gorgeous earrings for some foodie greeting cards), and Nate and Laura of eyeheart.us. I was honored to be surrounded by such talent! 4. After the event, I was lugging all my goods home, when I met a nice chivalrous boy outside my building. He helped my carry my things inside, and even held doors open for me. SIGH! 5. Have I mentioned Robert Sietsema wrote about my cards (and described them as "wonderful"!!!)? Dream come true! Overall, such an amazing day!! Is A Movie Career On the Cards? I'm walking down the street, and the director spots me from an avenue away. He just knows I'm the star he's been waiting for his whole career! He yells out in desperation "Stop that girl! I must have her in my film! Just look at her gorgeous hair!!" I finally notice all the commotion I've caused and try to reason with the director. "But I'm very happy in my career as a bedding designer. 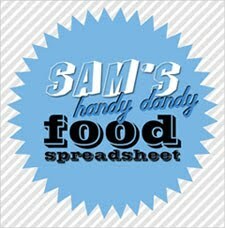 And I just recently started my own line of greeting cards for foodies and I'm really excited to pursue that! Why me? Why now?" The director pleads with me "You have something I've never seen before in another New York commuter. You have an unparalleled beauty and an extraordinary spirit. Plus, your sense of style is impeccable. I must have you in my film, I will not take no for an answer." I whisper to him "I will think about this, I promise you. But it will not be an easy decision. Can I have some time to think it over?" The director agrees to give me some time, but I notice a single tear streaming down his face. He knows that in that moment he could lose me forever. 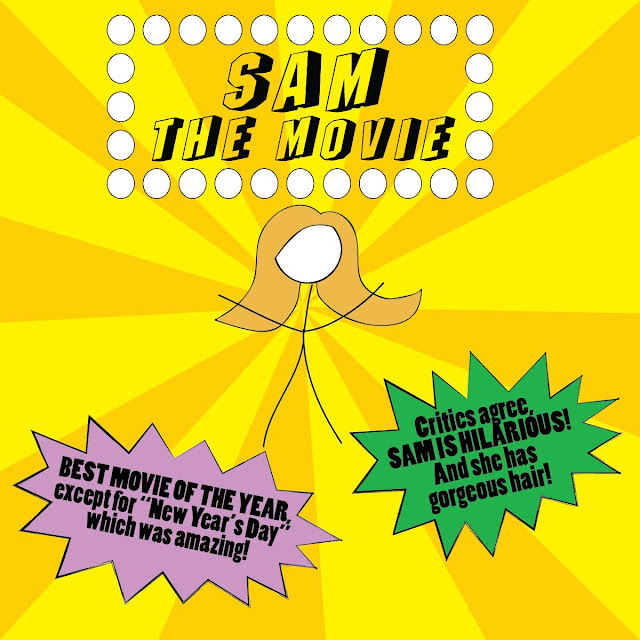 Don't get me wrong (and don't get excited if you are a casting director or agent), I have absolutely no desire to be a famous actress, or in movies. It's just a silly little thought I didn't even realize I had in my head. I promise I will let you know if it ever happens! 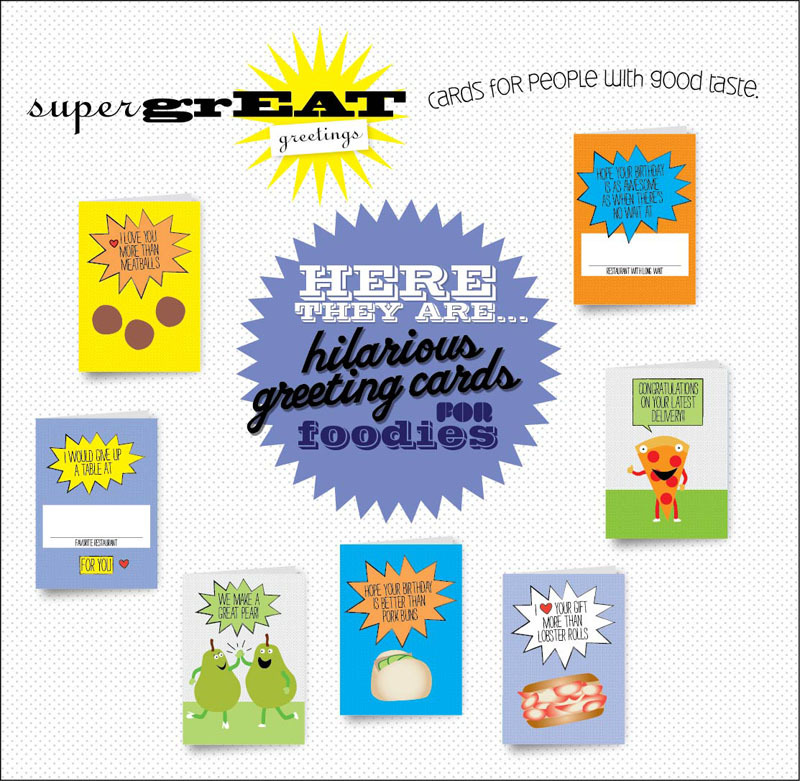 Introducing Supergreat Greetings: Funny Cards for Foodies! I know what's on your mind: "SAM!!! Where have you been? I haven't laughed as much in the last few weeks, and I have no clue where to eat!!! And you have really pretty hair!" Do not fret, my friends! I've been working on something VERY EXCITING!! 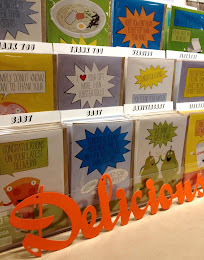 INTRODUCING my new line of greeting cards for foodies, Supergreat Greetings!! Please check out the site, buy some cards if you like, and spread the word (facebook! twitter! pinterest! oh my!). Oh, and very exciting news, I am thrilled to be a vendor at the BUST Craftacular and Food Fair next Saturday April 14th at 82 Mercer Street from 11am-7pm. Stop by and say hello! For a limited time, if you buy three cards, you get one free! Use the coupon code "ilovefreestuff" to save big bucks! 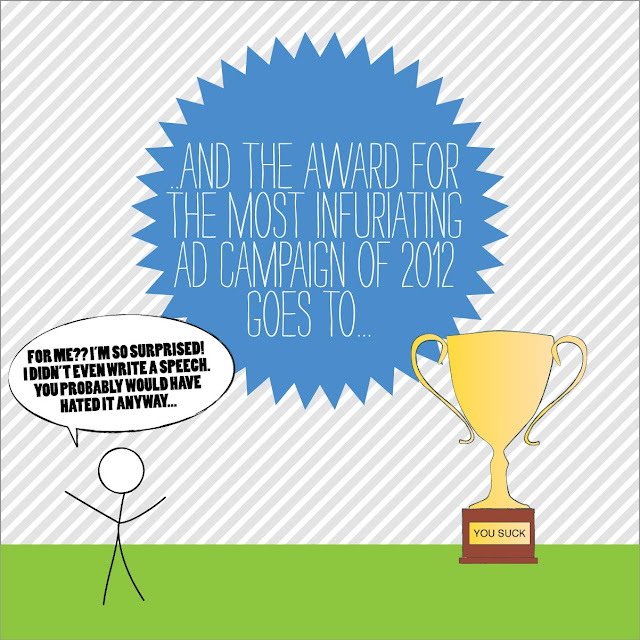 I hope to get back to blogging on a regular basis very soon! Sorry I've been M.I.A!